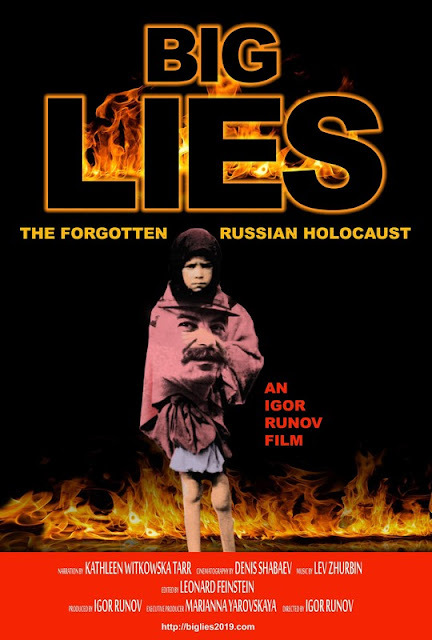 Synopsis: Big Lies” concept was coined by Adolf Hitler as a propaganda weapon in his famous “Mein Kampf” but was first used by Joseph Stalin to cover up massive man-made hunger in the Soviet Union in the early 30s. The main character is an American writer who travels to Russia these days. She meets the last survivors of Holodomor. Soon she understands that the war of Russian peasantry, started by Bolsheviks 100 years ago, isn’t over yet. She also uncovers many controversial facts about the role played by American media and business in the early ’30s in Soviet Russia. Synopsis: A 35-year-old married heart patient goes to a psychic healer to get himself cured despite his wife's difference of opinion. #filmfestival #worldcinema #shortfilm #featurefilm #filmmaker #nomination#award #script #globalfilmfestival #international #producer #director #actor#actress #no1 #documentary #filmproduction #awardwinningfilms #screenwriting #screenplay #filmfreeway . Synopsis: A lazy engineering student suffering from sleep paralysis starts having paranormal experiences and tries to tackle them with the help of his roommates. 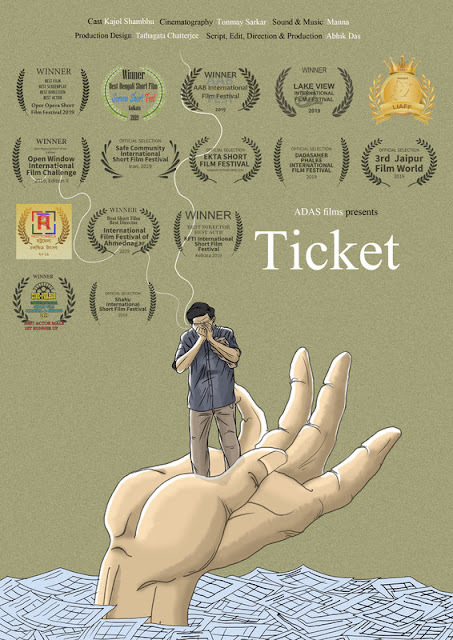 Synopsis : A lower middle class man searches for the ticket of his existence in the socioeconomic scenario of daily Indian city life. 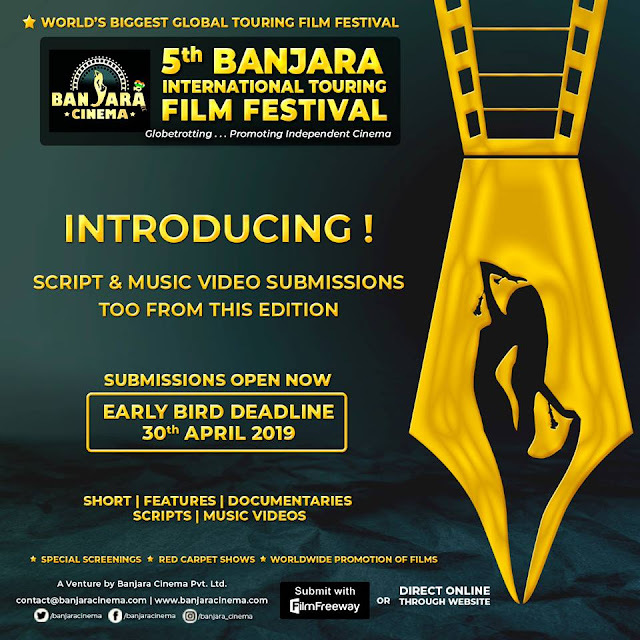 Short films Submission – Guide to 2019 Banjara International Touring Film Festival Submissions. Interested in submitting a short film to the 2019BITFF ? Before you submit, be sure to take a look at our guidelines below to ensure your short film is eligible for short film submission. Short film/teleplay scripts with lengths from 1-45 pages in English only. Font size for short film submission must be 12 point and in courier type. No restriction on the topic, theme, subject or genre for short film submission. 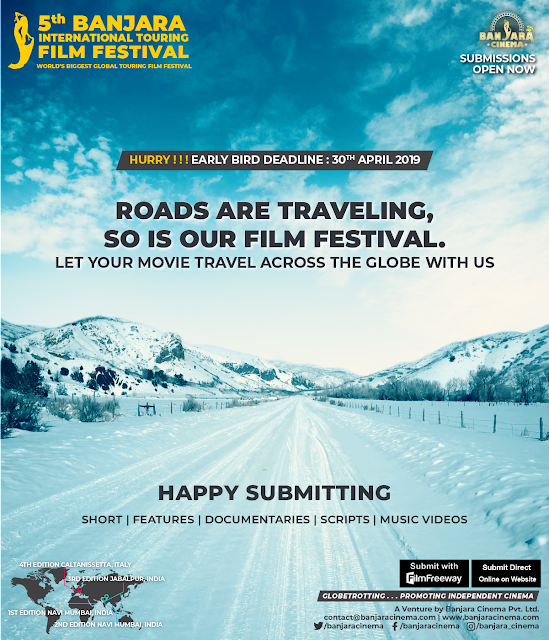 Submit your short film through FILMFREEWAY. Please do not forget to enable download option on the platform when you load your short film/project as we need it for preview purpose for selection. Producer's/ short filmmaker's direct contact details must be provided for the notifications, even if any agency is submitting on their behalf. 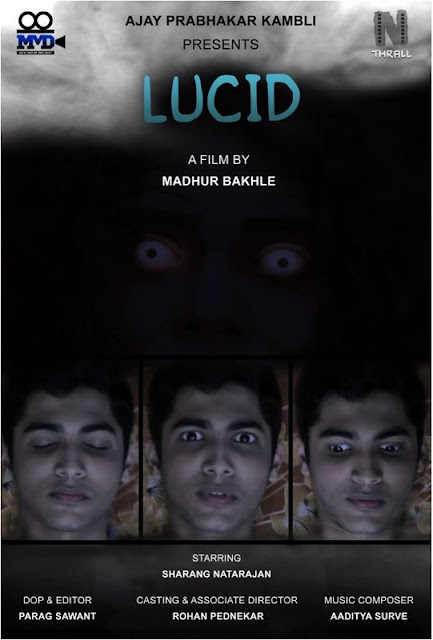 Poster and Synopsis of the short film (max 200 words) must be uploaded on the platform. Participants can send multiple entries. However, please submit a separate entry for each short film/script/video. In case of "Student Short film" category, school/college ID card copy also to be uploaded. Direct Submission - Completely Online. In case of "Student Short film" category, school/college ID card copy also to be attached. Upload the short film/video on any online platform (e.g. youtube, vimeo, google drive, dropbox, we transfer etc), protect it with password, if you want. You will be required to mention the URL and password of this upload in the entry form. Please do not forget to enable the download option for the short film/video. Pay the appropriate Entry Fee. You will be required to fill up the reference details in the entry form. You can use Net Banking / Paypal / Credit Card / Debit Card for payment from India or any other country. Account Name: Banjara Cinema Pvt. Ltd. Please submit the ENTRY FORM by filling up all the details along with uploading one poster of the short film/video. You will be required to sign in here. Alternatively, you can download, fill up and email the respective ENTRY FORM to "festival@banjaracinema.com" with one poster by clicking below. Participants can send multiple entries. However, please submit a separate entry for each film/script/video. Prepare 1 film's/video's DVD to courier to us. (DVD should be in PAL or NTSC system, in MP4 format with H.264 codec clearly marked with title (original and English) and running time. You can send the cheque or DD in the name of "Banjara Cinema Pvt. Ltd." through courier along with DVD. You can use Net Banking / Credit Card / Debit Card for payment from India or any other country. You will be required to mention the payment reference details in the entry form. Please download and fill up the respective ENTRY FORM by clicking below. Flat 1102, Acacia CHS, Hiranandani Estate, Ghodbunder Road, Thane (w), Mumbai, Maharashtra, India - 400607. Please write on the courier -"For selection/cultural purpose only, no commercial value. BITFF will not pay any postal/custom fee for the courier.